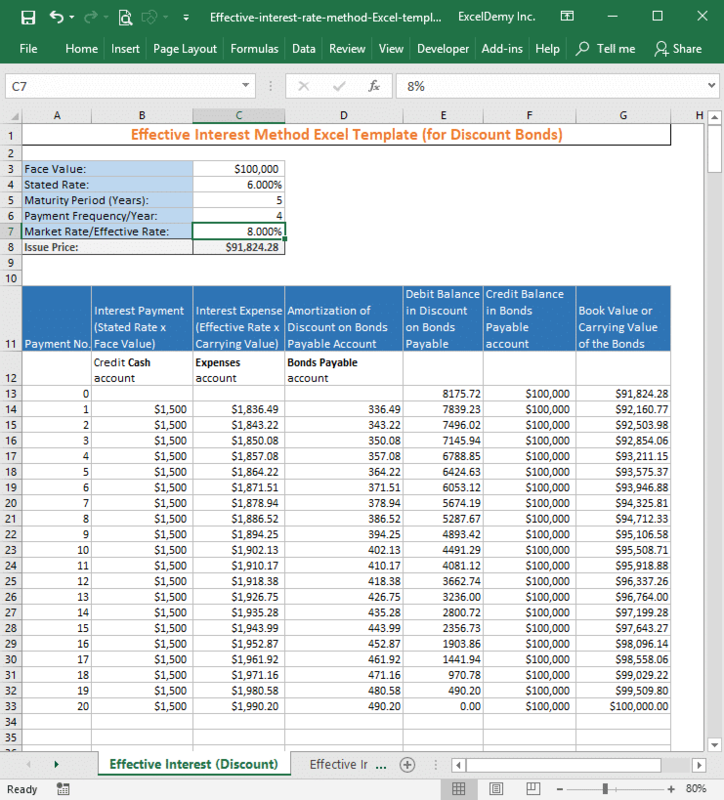 It is very easy to use my developed “Effective interest rate method excel template”. Actually, you will get two templates inside the workbook (if you have downloaded the workbook). 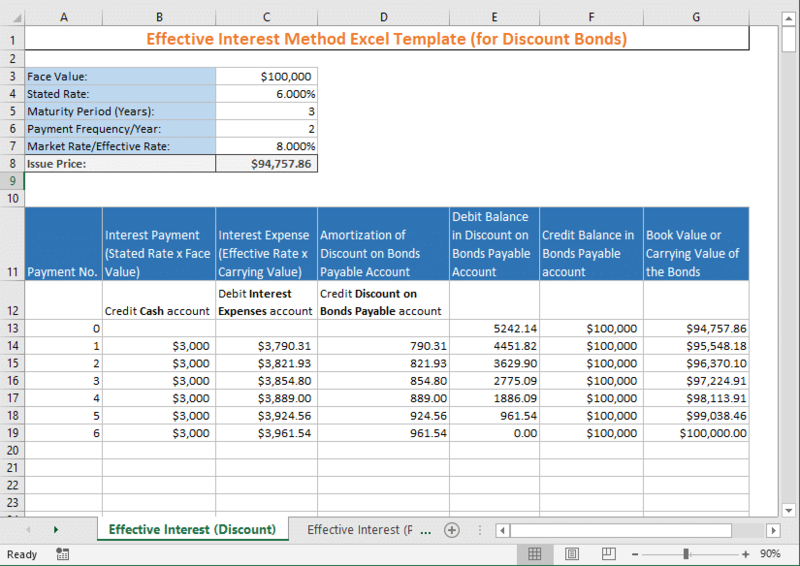 This template will output the Issue price of the Bond and show the other calculations. And shows all the calculations for the bond maturity period. Now I will just change the maturity period from 3 years to 5 years and payments will be done quarterly. Now check out the image. Check out the following image. 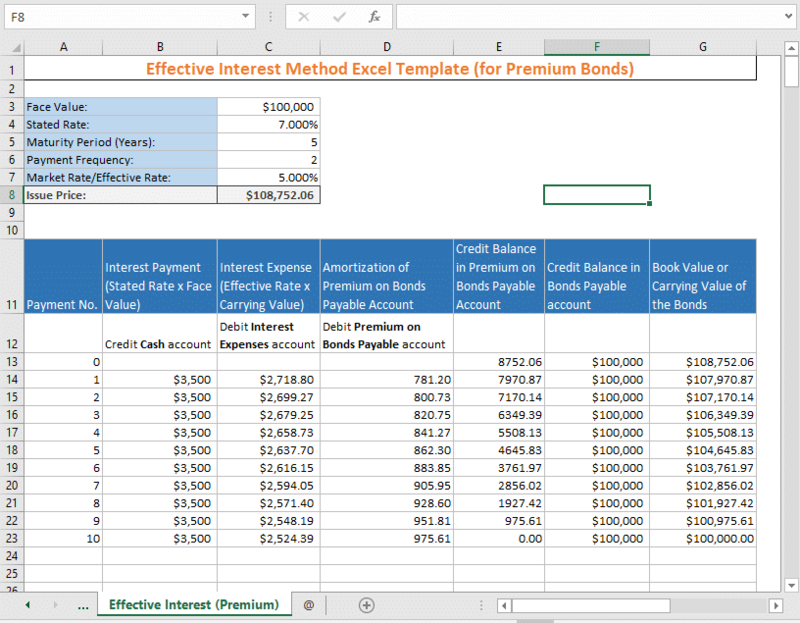 The template provides issue price as $108752.06 and other calculations for the bond maturity period. 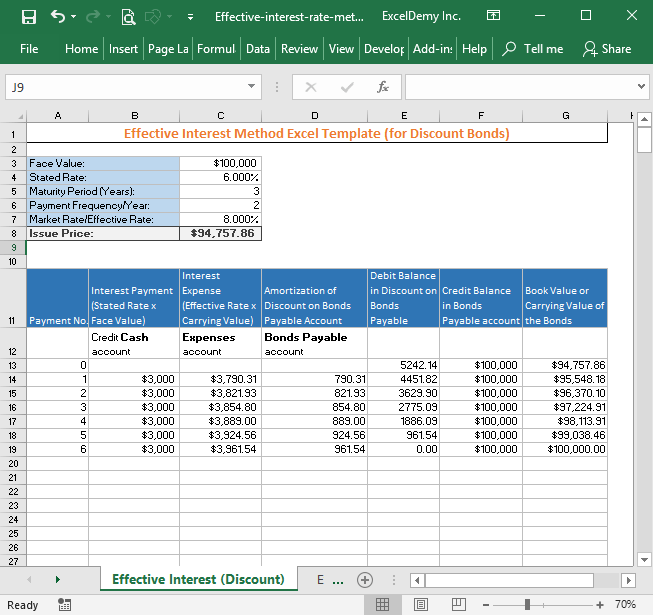 And all the calculations are done automatically. Do you have any feedback about this template? I am interested to update this template as per your feedback. Please let me know your feedback in the comment box.